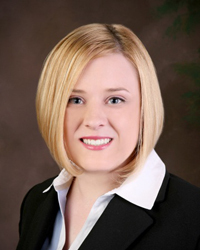 Corinne B. Maloney practices family law and commercial litigation. She was law clerk to the Honorable Ronny J.G. Siegal, Superior Court of New Jersey, Family Part, Bergen County in 2013-14. Ms. Maloney is a member of the New Jersey State, New York State and Bergen County Bar Associations, as well as the New York County Lawyers Association. Ms. Maloney was appointed by the New Jersey Supreme Court to serve as a member of the District VA Ethics Committee serving Essex County for the 2018 to 2022 term. She is also a member of the Barry Croland Family Law Inn of Court and the Justice Morris Pashman American Inn of Court. Ms. Maloney is a Panelist for the Bergen County matrimonial Early Settlement Program.